No special installation tool, torch or heat required. Excellent resistance to Ozone & Ultra-violet re adiation. Excellent thermal stability, high dry & wet insulation resistance. Highly flexible technology accommodate all Power Cable sizes /Voltages up to 33 (36) kv. 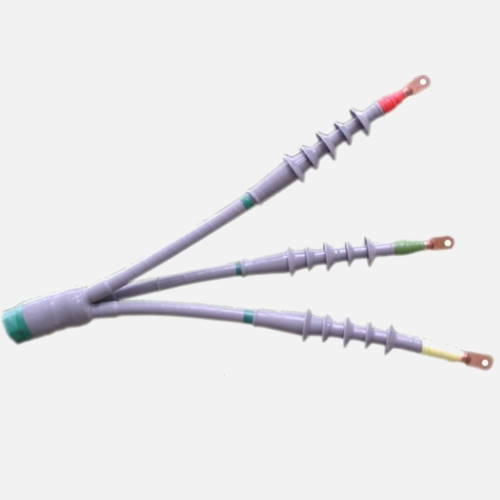 The quality and assurance of ‘Cabseal’ Cold Shrinkable Termination & Straight through Joints assures a leading edge and is obtained by monitoring the testing at various stages during production thus resulting in a quality oriented and reliable product for giving a healthy power distribution by our design and not by control. In every product of ‘Cabseal’ you will find commitment to the product excellence backed by national wide network of dealer/distributors and technical persons to provide technical services like jointing, engineering support and training to help / solve your accessories needs.